Power a device up to five times—at more than double the speed—with this rapid, portable charger. 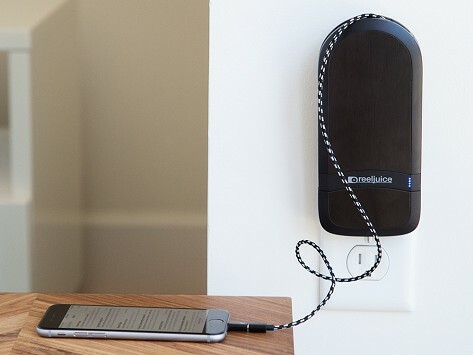 Plug it in the wall to load up on juice, and its pass-through feature lets you charge it and power your device simultaneously. 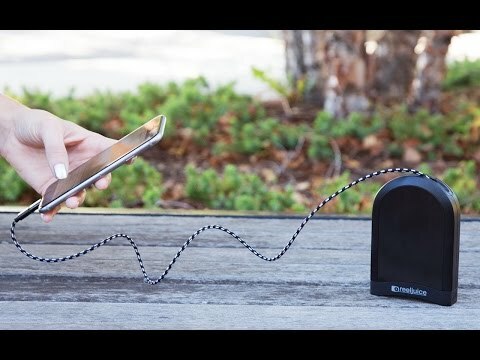 Equipped with interchangeable tips for Apple and USB devices, it has a four foot cord you can stretch to your liking then tug to retract. Dimensions: 3X: 5.75" x 3.12" x 0.77"; 5X: 6.12" x 3.12" x 0.77"
Weight: 3X: 0.62 lb. ; 5X: 0.69 lb. So glad I made this purchase ! I bought this to take on a 5,000 mile road trip. It has been fantastic! I would have missed so many photos that I was able to get by charging with this. It’s a tidy, powerful, convenient charger to keep your battery light in the green.